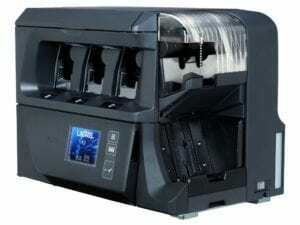 AMROTEC® has been offering high-performance and heavy-duty cash processing equipment ranges from Currency Discriminator counters for your cage through back office to stores located inside of venue to larger multi-pocket banknote Sorters ranges from 3 pockets to 12 pockets for your cash room to process heavy-volume cash and barcoded tickets on a daily basis. 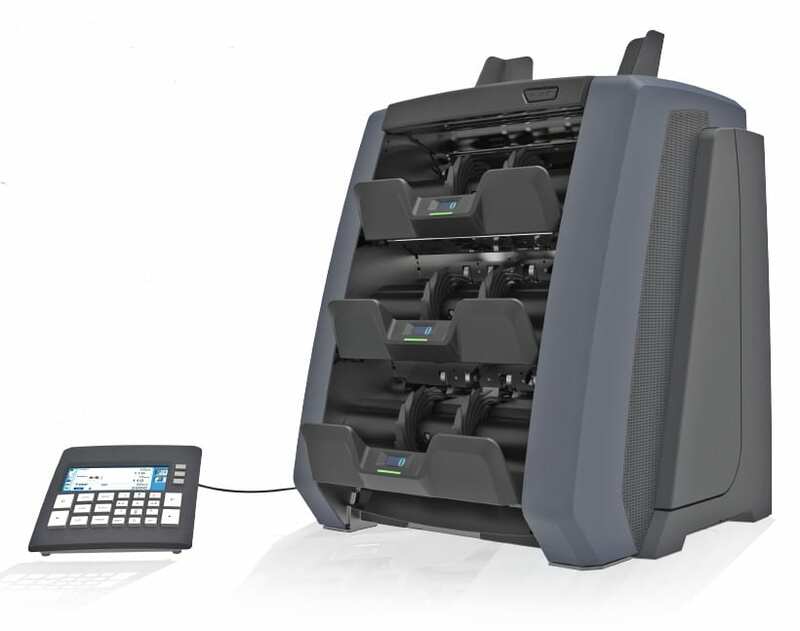 Check out AMROTEC®’s latest offering of Currency Sorting machines ranges from 2 pockets up to 12 pockets to process currency and barcoded tickets in one-pass connected with number of casino software standalone. AMROTEC® not only offers it’s most sophisticated advanced desktop Currency Discriminator counters from 2 to 3 pockets for front cashiers or cages, AMROTEC® in collaboration with world-known bank equipment manufacturer, Laurel from Japan offers up to 12 pocket K-Series currency processing solutions for Cash-in-Transit companies, cash centers at Financials and Casinos of small to Mid-size, for reliable and efficient banknote and barcode Ticket processing. All high-tech Validator JDU-62, which is the result of LAUREL’s long experience in cash handling manufacturing standard. The K-series meets ECB and Federal Reserve Fitness sorting guideline. Further, all K-series banknote sorters are equipped with newly developed IR/MG/MT sensors, enhancing Authenticating (CF) Detection. AMROTEC® X-1000 Currency Discriminator with 1 main Stacker with dedicated full-Reject pocket, is designed for large volume cash processing up to 72,000 bills per hour error-free while optimizing cash processing efficiency at casinos cage or cash room operation as a back-up for large sorters. 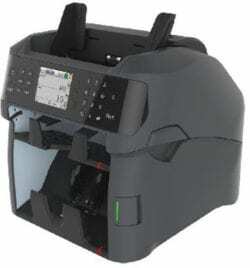 Equipped with Dual-Sensors image processing technology, it provides various counting and sorting mode of operation uninterrupted with a dedicated full reject pocket while at the same time, provides superb suspect detection. Since it’s released in 2014, X-1000 gained popularity for it’s low bill jam rate, precise and accurate authentication. X-1000 also provides users with superior operating experience and simplicity. AMROTEC® X-3000 with 3 stacker pockets, the latest and most advanced and the fastest sorter in the group, featuring enhanced and reliable bill recognition, authentication & banknote and ticket sorting ability. Built with wide-range of counterfeit detection capabilities, X-3000 stops counterfeits by using the most advanced counterfeit detection technology in the industry. Three-pocket design assists user to process mixture of barcoded tickets with banknotes in one-single-pass. Supporting most of the currencies worldwide, and various possibilities for connectivity (CPS-CASINO only), X-3000 is able to satisfy the growing demand for more efficient cash and Ticket management. 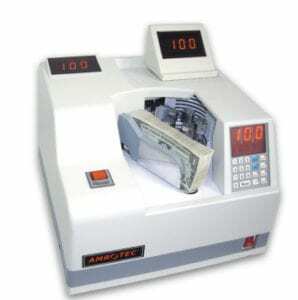 AMROTEC® TC-5500 Desk-top Bundle / Strap Note counter provides high-function, heavy-duty, horizontal feed spindle counter for processing strapped or unstrapped currency. This model developed with top priority given to cost while retaining high-quality, reliability and accuracy. All that is required is to place the strapped or loose banknotes in the holder and machine does the rest. CE, FCC, TUV, DNV approved. 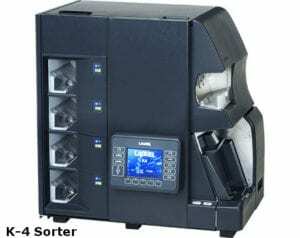 Having counitng speed of 1500 notes per min or 100 notes per 4 sec., TC-5500 provides various operation modes including Count, Add, Batch, Check, Preset, Free, Acc, Alarm Mode. UV counterfeit detection (optional) for detecting suspect bills on the strap during counting. 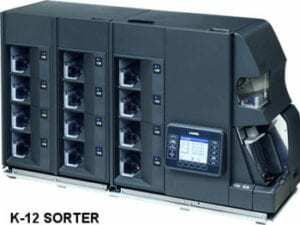 AMROTEC® offers heavy-duty K-Series Currency Sorters to process banknotes and Casino tickets ranges from 4 stackers upto 12 stackers designed for Casino Industry. Manufactured in Japan by world reputable bank equipment manufacturer Laurel, K-Series are equipped with either 4 pockets or 8 pockets or 12 pockets and with a dedicated Reject pocket to count, sort , fitness, and authenticate US currencies as well as processing of Casino bar-coded tickets to a specially configured PC software “CASHPRO”. For years of engineering and development, Laurel was able to refined K-Series as compact as possible with high speed at 900 BPM Bank Note processing. 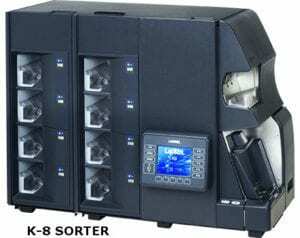 User-friendly Design Comparing with other sorting machines with 12 pockets, K-Series are physically the smallest Note Sorting Machines from 4 to 12 pockets. Due to the efficient size of all K-series model, one single operator is sufficient to operate and use the machine on a daily basis. In addition, the hopper position has been set up at almost the surface of the desk to prevent operator’s work-stress or burden.